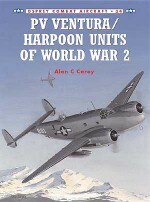 The US Marine Corps has a long heritage of aviation excellence, a reputation that was largely built on the impact and performance of the "flying leathernecks” in the bitter fighting in the Pacific during World War II. As the US island-hopping campaign against Japan gathered pace, US Marine Corps fighter squadrons operating legendary Grumman and Vought aircraft became instrumental in the success of amphibious assaults and in breaking fierce enemy resistance, engaging Japanese attack aircraft in the skies and ground-based targets while supporting and protecting US ground forces. 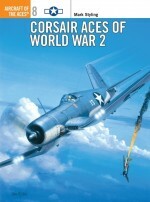 The flying legends Marion Carl, Greg "Pappy” Boyington, Joe Foss and others were all World War II Marine fighter pilots, taking to the skies in Corsairs, Wildcats, Venturas and Hellcats. Aviation historian Barrett Tillman's comprehensive account US Marine Corps Fighter Squadrons of World War II pays homage to these individuals and their mounts, and is packed with historic and organizational details of the squadrons who took to the skies above the Pacific. 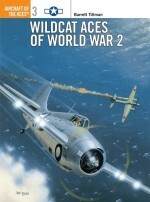 Barrett Tillman is the world's most prolific US naval aviation author, having published over two-dozen titles on the World War 2 period alone. 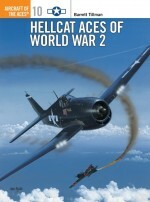 He has written numerous books for Osprey in recent years including the much acclaimed Aircraft of the Aces 10: Hellcat Aces of World War 2.
Who is the Leading Marine Ace?